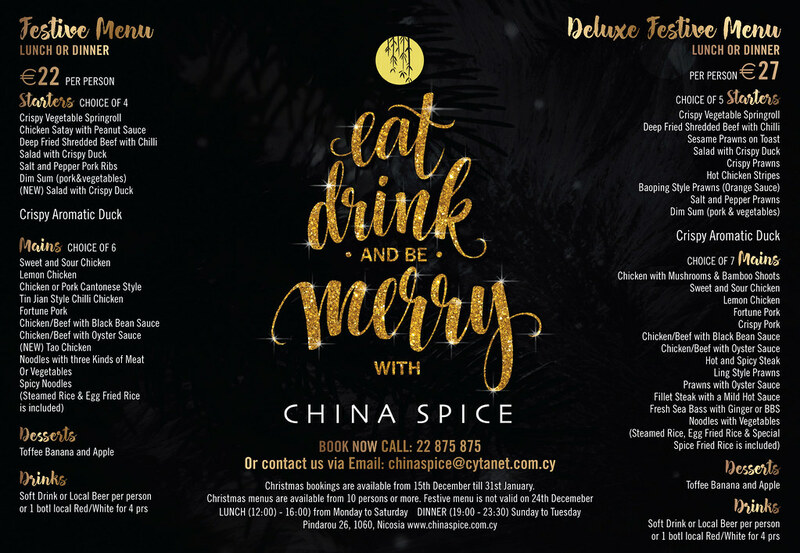 CHINA SPICE Festive Menus for 2018 combine a selection of authentic Chinese Dishes. A luxury dining experience for a glittering Christmas or New Year’s Eve party in our restaurant. Available for parties of 10 guests and above only. Please get in touch with our Events Manager for further information.